Wow your guests on Passover with this uniquely designed Seder plate. The red, greys and white make for a great modern color combination. The flowers on the side add an extra touch to the festivities. 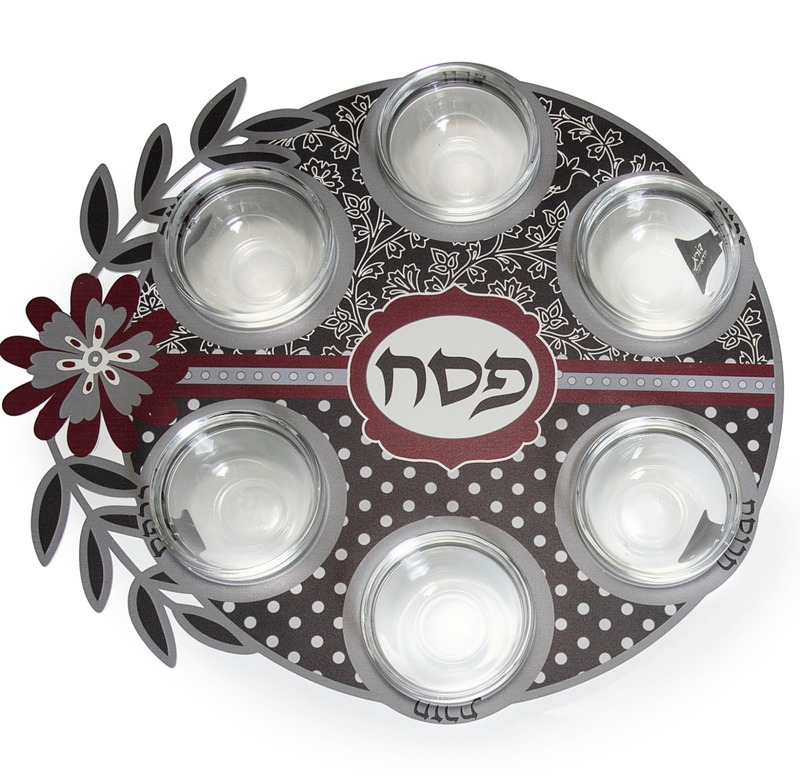 On Passover Eve, the Seder table will look splendid with this seder plate from Dorit Judaica. 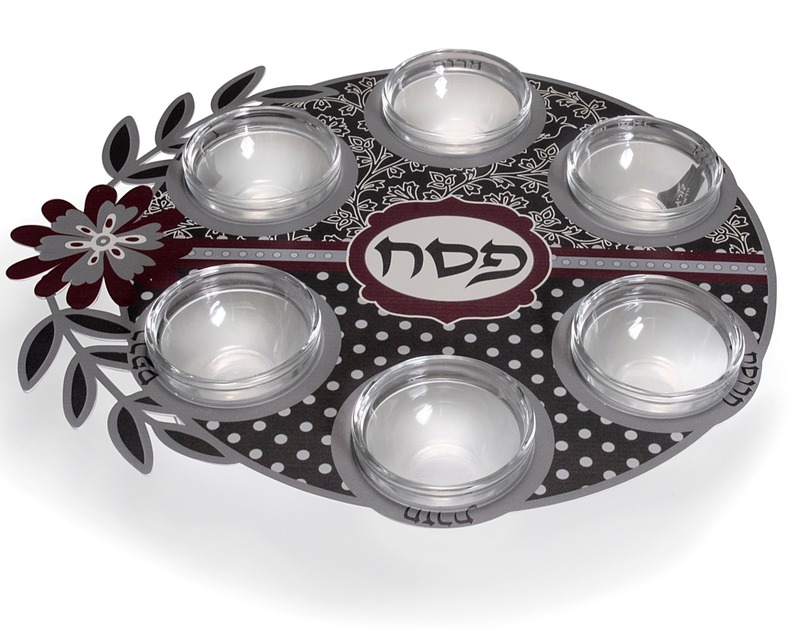 It has a modern twist in its design with the ribbon down the middle separating the two different designs, making it look like a gift box of cookies or biscuits rather then a seder plate.